The MemoryPrinter 2000D (MP2000D) offers excellent features. This TDD comes with Fast Type for a “real-time” conversation. 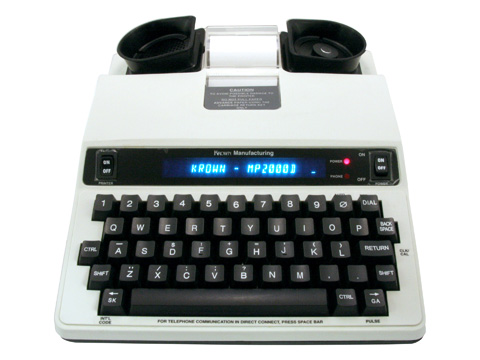 Fast Type speed goes to 110 baud for a professional typist or automatically go back down to 45.5 baud (American standard), if the other TTY doesn’t have the same feature. With interrupt function, conversation with Fast Type will be more natural than the regular Baudot. It’s supported by most of States Relay services. NOTE: All batteries can run 3-7 hours when fully charged. All PortaPrint Series TDD/TTYs carry a 1-Year Limited Warranty.